Me (orange volunteer shirt) with the SFAA agilists. I also wanted to thank my co-organizers, Ryan Dorrell and Stephanie Stewart. This was the first time Agile Orlando and Tampa Bay Agile collaborated on an event and I look forward to future opportunities. I also want to thank members of the Agile Orlando community who took the 2 hour road trip to attend and even lead some sessions. 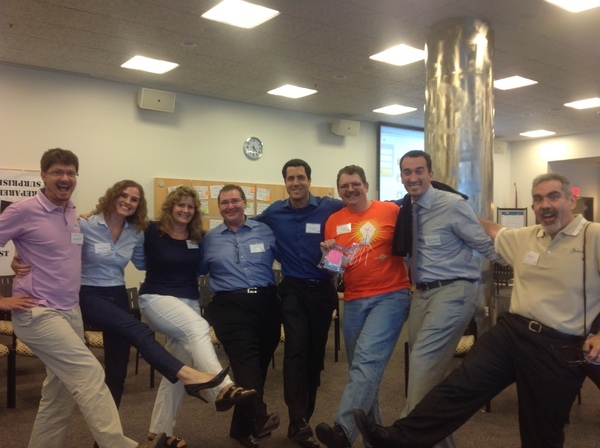 I’m equally grateful for the members of the South Florida Agile Association who took a 4-hour road trip to attend. I especially want to thank Rick Regueira and Alex Kanaan for leading some sessions as well. Best of all, this was the realization of a 12-year-old dream. When I attended the 2002 XP Universe conference in Chicago, I experienced my first Open Space. I was amazed at the spontaneous collaboration and the way the entire track self-organized. After this amazing experience, my first thought was “we have to do this in Florida!” Since then, I’ve facilitated some smaller open spaces, but we never had critical mass to kick off a cross-Florida agile open space. Now that dream is a reality. I heard the same excitement from the participants that I had in my first open space. 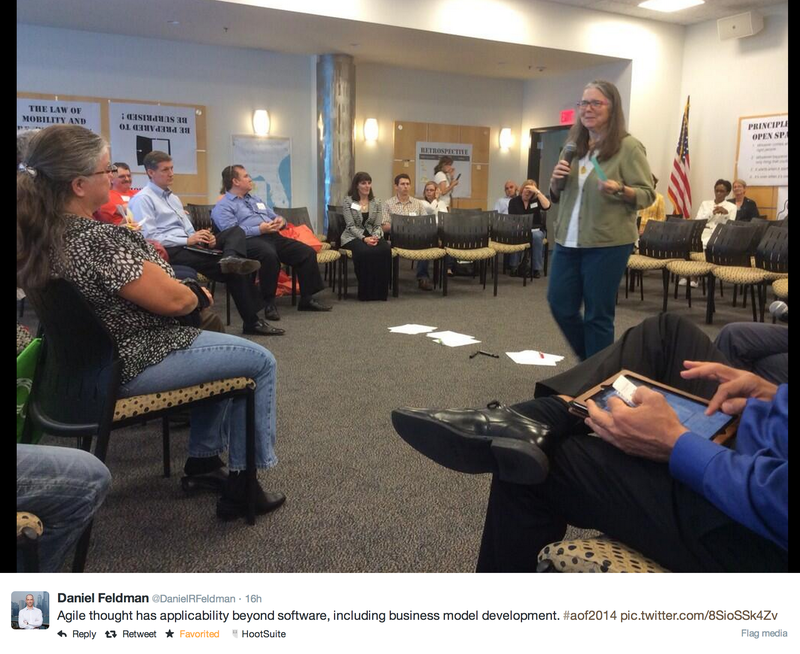 I look forward to continuing to share this spontaneous collaboration at next year’s Agile Open Florida. Mark summarizes the Agile Open Florida well. Can’t wait for next year! Oops left a comment earlier but had to reset my wordpress password so didn’t register! Just wanted to thank all of you at Agile Orlando and Tampa Bay Agile who helped make this happen especially Stephanie and Mark, we know very well how complicated planning such events can be…thanks!